This World is over run by Takers. It doesn’t matter where you go, there they are! Fortunately for some Givers they are easy to spot. For many Givers though, they are not. 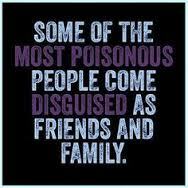 Takers wear multiple masks. They are masters of disguise. Hiding behind their sad and fragile Egos, they are cunning, devious, sly and scheming. They will stop at nothing, constantly looking for sources of food, all the while destroying beautiful people with their crafty and artful manipulation. Trickery is their most calculating skill. Their practice of deception has no beginning and no end, it is all they know. Takers are dishonest, they know nothing about truth. They double-deal and cheat, it is vile the way they slither through life, living and feeding off of other peoples energy, they are the frauds of this Earth. Duplicity is their middle name, and they live up to it very well. Takers are born with proficiency, their talents and skill as vampires is very accomplished. They steal energy, the life force of goodness that runs through Givers veins. Givers are often blinded by the stealth and sneaky way the Takers wear their masks. Secrecy has no boundaries, Takers live many separate lives, but even so, each and every one are complete and utter lies. Givers be cautious, for your own good. For the goodness of your physical being, beware of the Takers. For the health of your emotional and mental being, learn how to trust your Intuitive nature like never before. Givers protect yourselves, it is the only means you have to stay healthy and happy. You must build on becoming stronger, build on speaking your Truth. Establish new boundaries, develop new ways to strengthen and embellish your self-worth so you won’t be pray to people who can and will destroy you. Takers rob and steal from Givers, never looking back, or blinking an eye. Open your eyes a little wider Givers and look directly into the eyes of the Takers. Eyes have the ability to tell stories, don’t be fooled by those that wear masks.